Posted in Happenings on December 11, 2018 by Guest. 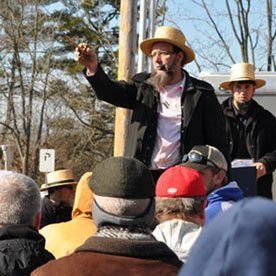 Since 1989, Country Lane Furniture has proudly provided Lancaster County residents with quality solid wood, Amish-made furniture. While the attention to detail and hand-crafting of our products sets us apart from our competitors, what really makes our furniture standout is our focus on producing solid wood pieces without the addition of particle board or veneers. One of our most popular and unique products are solid wood live-edge tables. 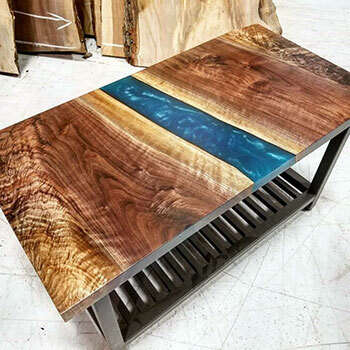 These hand-crafted tables are all unique in their aesthetic and design, while emphasizing sustainability by repurposing damaged or reclaimed material. In this article we will explore our live-edge furniture, from forest to your home and everything in between. In short, these tables are constructed with slabs of timber that have been cut without removing their natural edge—only the bark is removed. 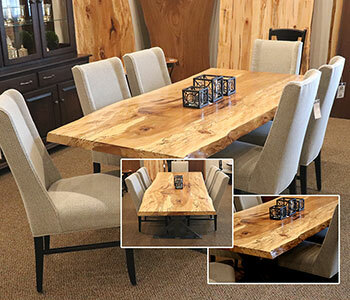 The natural edge aesthetic gives your table a completely unique shape in addition to its rustic appeal and quality craftsmanship. There are several different ways we create live edge tables. The image above is a good depiction on different styles to work with. Using cut-off sections from a slab can be used as coffee tables, hall top tables, bar tables, and more. We’ll put in a resin epoxy within any cracks to look like water or a unique design. The picture below shows how the epoxy creates a river, making a very unique and custom piece. The trend for live-edge tables has evolved around the idea that each table is a solid piece of wood, and not inferior materials like particle board or veneer. While this goes right along with our other solid wood furniture, with live-edge tables you can really see that this was once a tree that has been repurposed and given new life. Great care is taken when we select our timber, and sustainability is as important to us as we know it is to many of our customers. Much of the wood used for live-edge production comes from recycled trees. The majority of the timber we use is locally sourced from Pennsylvania forests. We work with a local sawmill which handles the tree selection and salvaging, milling, and drying. Each piece of wood goes through a drying process to guarantee stability of the wood before being used to create a live edge table. For our live-edge tables, we use Back Walnut, Wormy Maple, Cherry, Red Oak, Sycamore, Elm, and Spalted Maple, however Walnut is our most popular live-edge timber by far. It’s naturally dark color and beautiful wood grain make Black Walnut an ideal choice for this rustic addition to your home. In some cases, we have had clients request a specific material that we don’t normally stock. 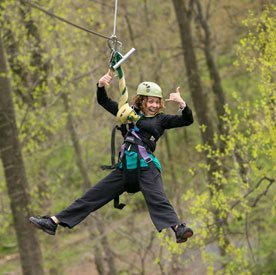 While we try to make sure the timber we use for any of our solid wood products comes from PA, some projects do require out-of-state searching which we are more than happy to do! While our Annville, PA furniture store serves the county and much of Pennsylvania directly, we also deliver across the continental U.S. as well as Hawaii and Alaska. Essentially, if there is a way to get our product to you we can, and we will accommodate! If you would like to know more about our live-edge tables and other solid wood furniture, or if you would like to request more information about delivery and custom orders, then we encourage you to visit our website and contact us today.